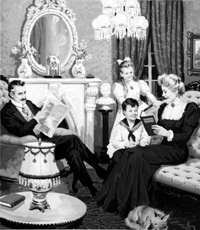 This is the original Gouache painting by Jack Keay. 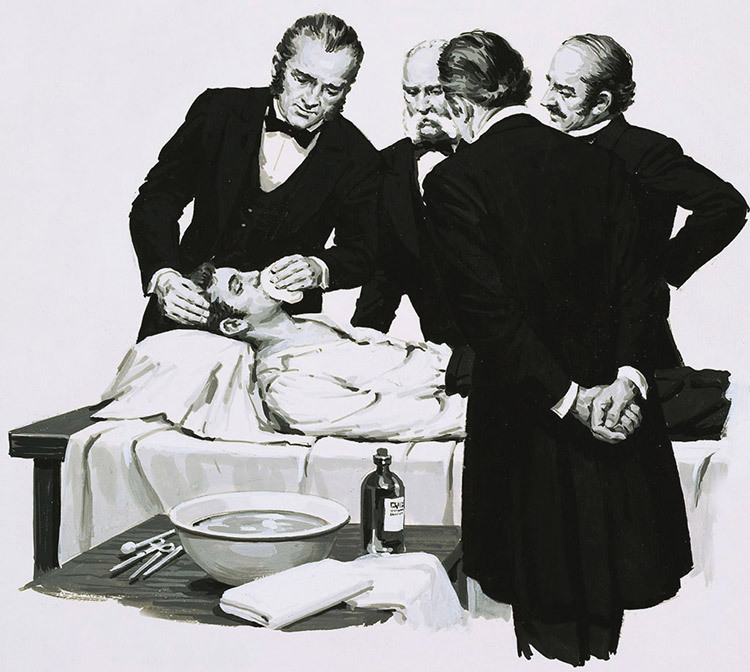 In 1842 Dr. Crawford Long renders a student unconscious with ether before performing an operation. From the series A Good Idea published in Look and Learn issue 702 on 28th June 1975.